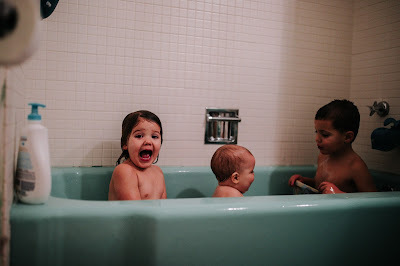 I feel like it's been ages since I grabbed my camera to snap pics of my kids just being...um, kids! I take a TON of pics of them (duh!) but they always seem to have a purpose: sibling snap before going to see Santa, matching jammies pic, promo pic fo a brand we rep, and so forth. 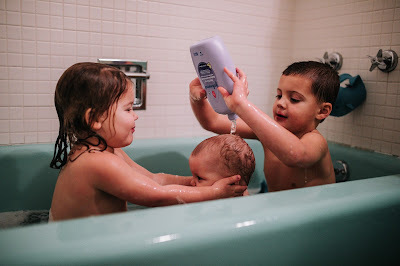 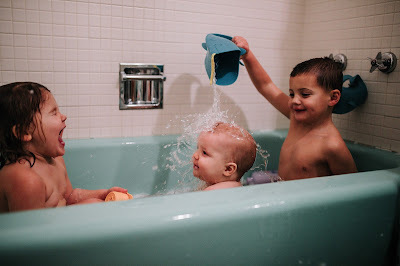 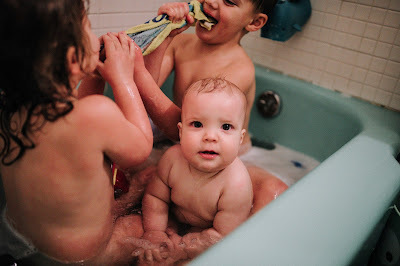 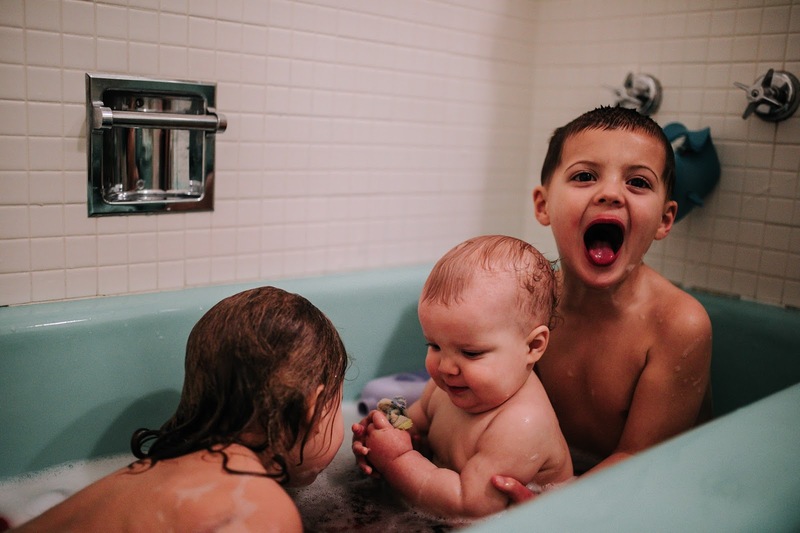 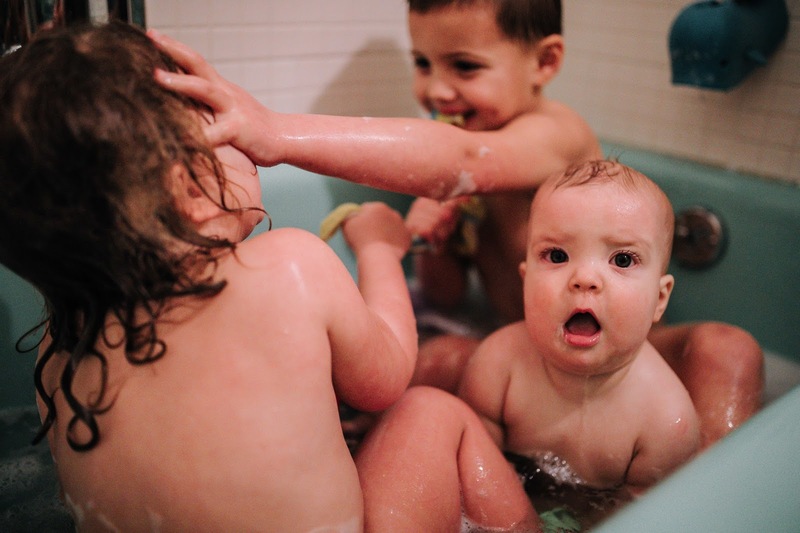 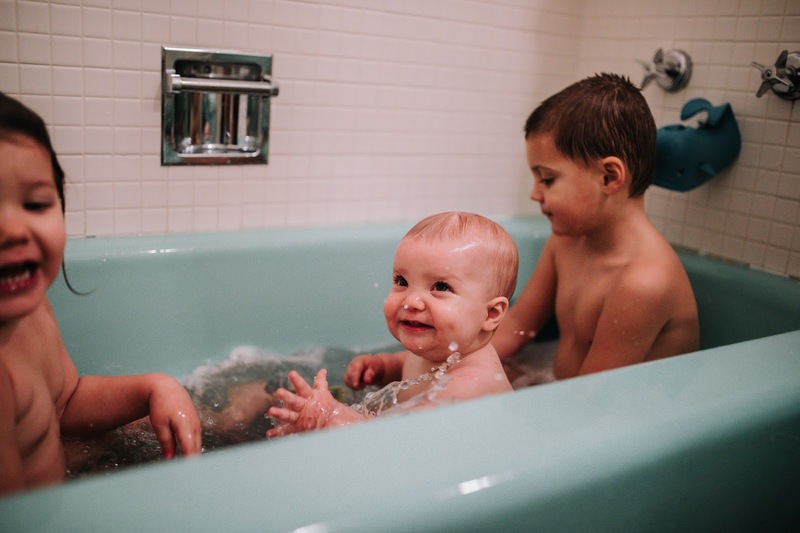 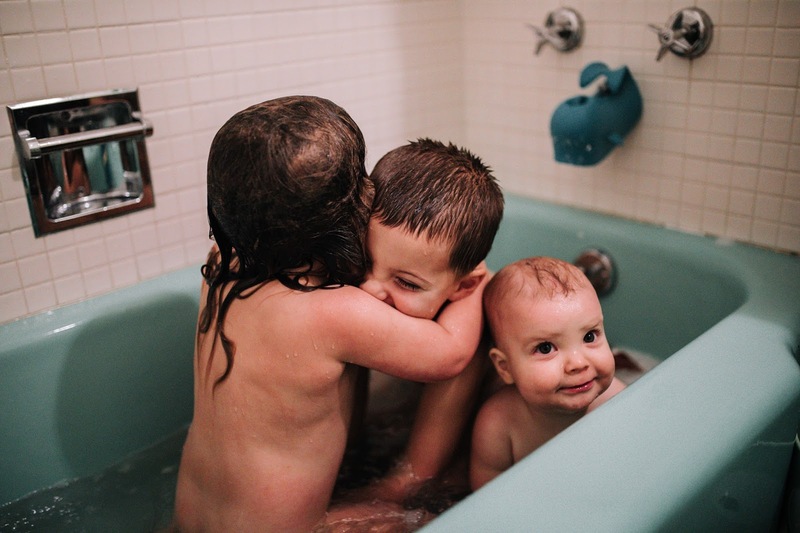 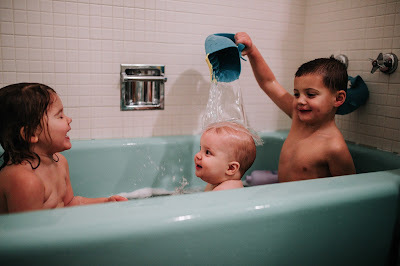 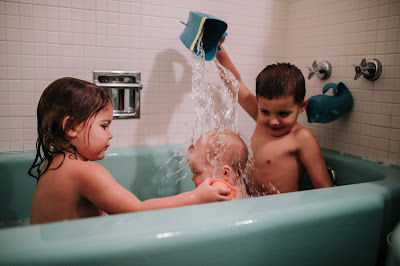 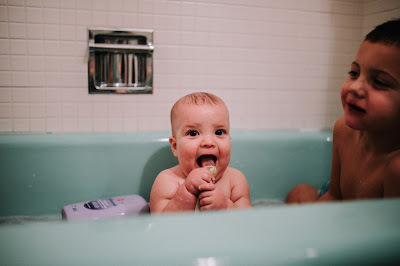 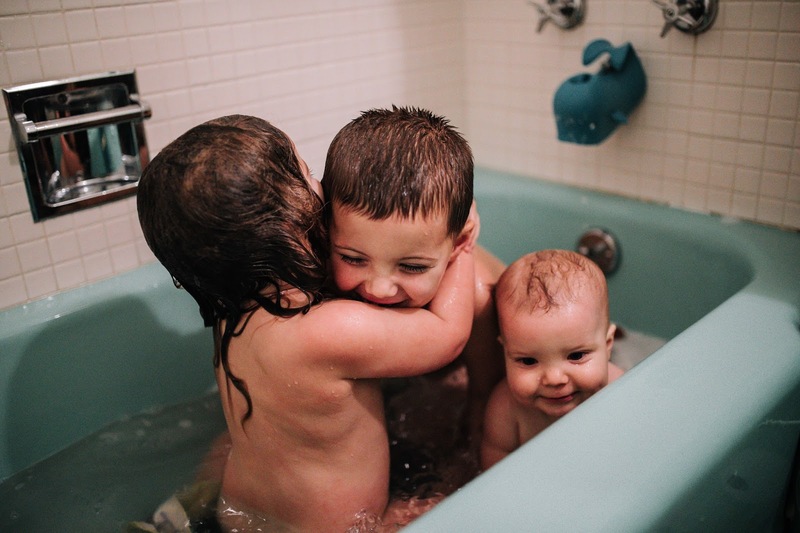 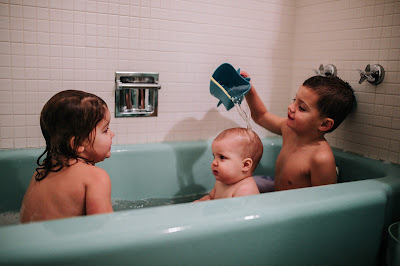 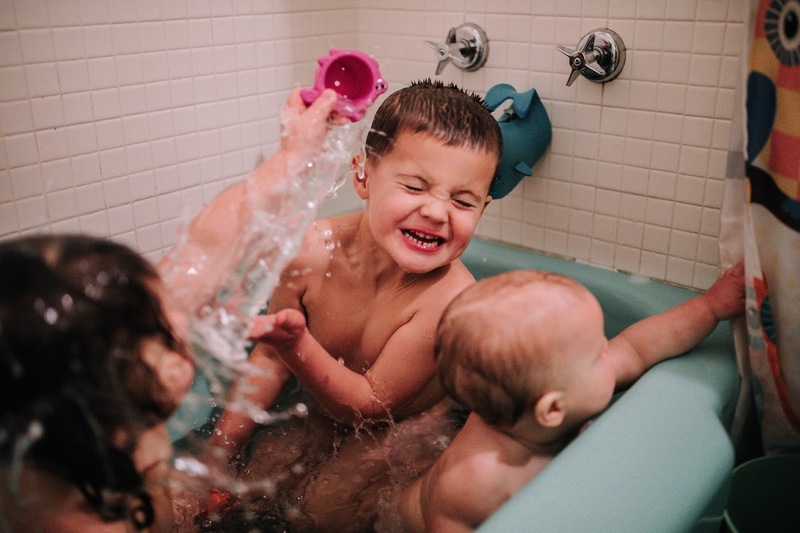 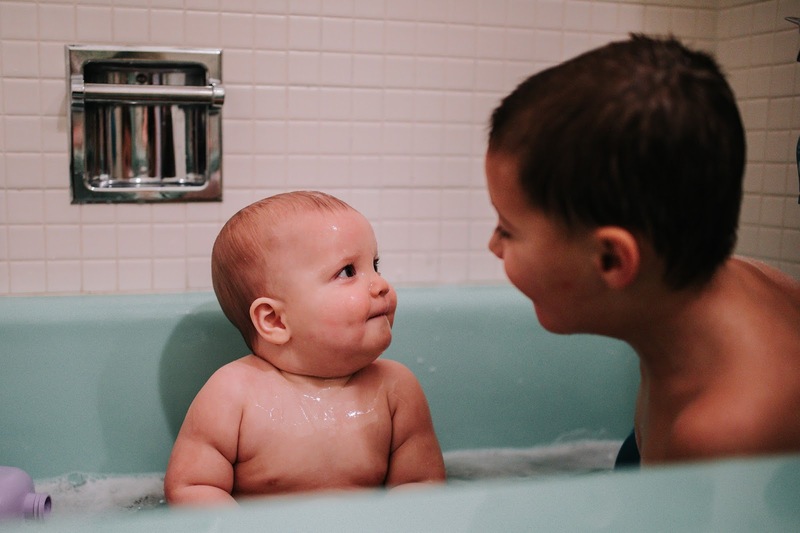 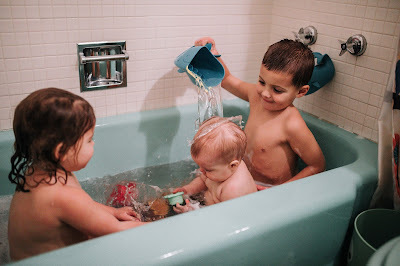 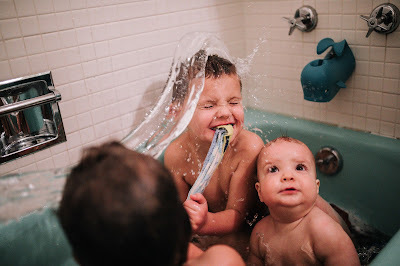 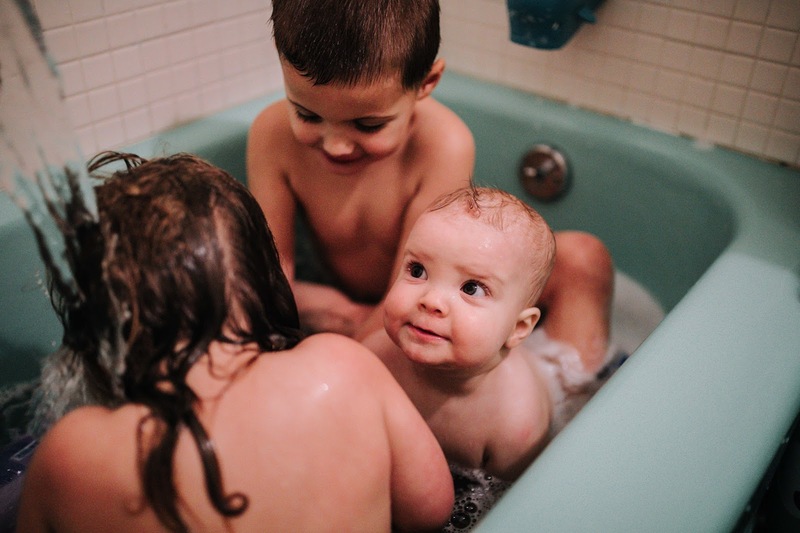 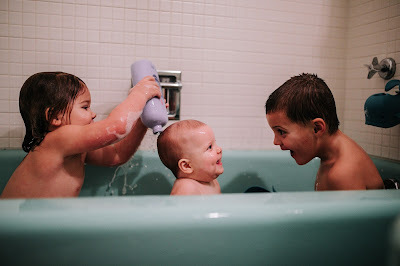 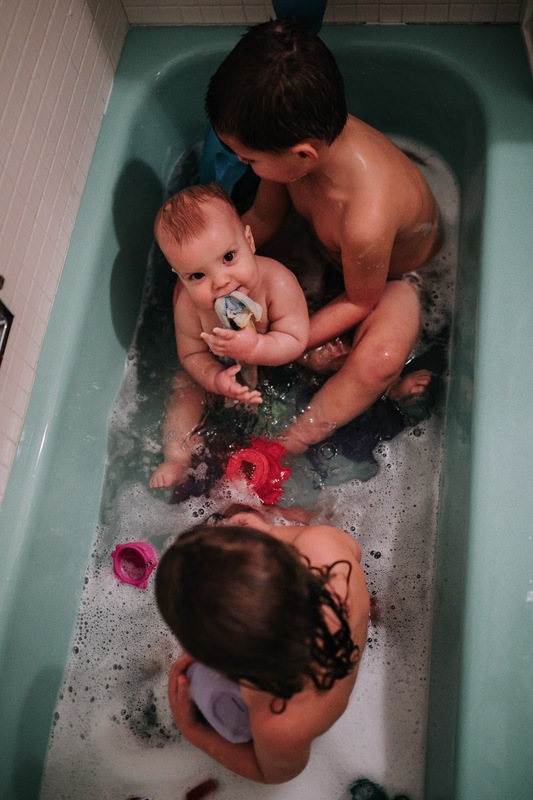 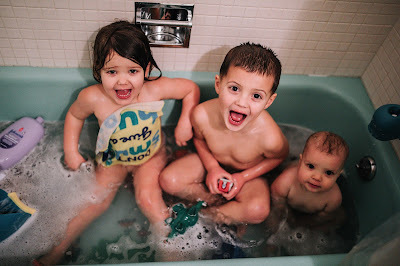 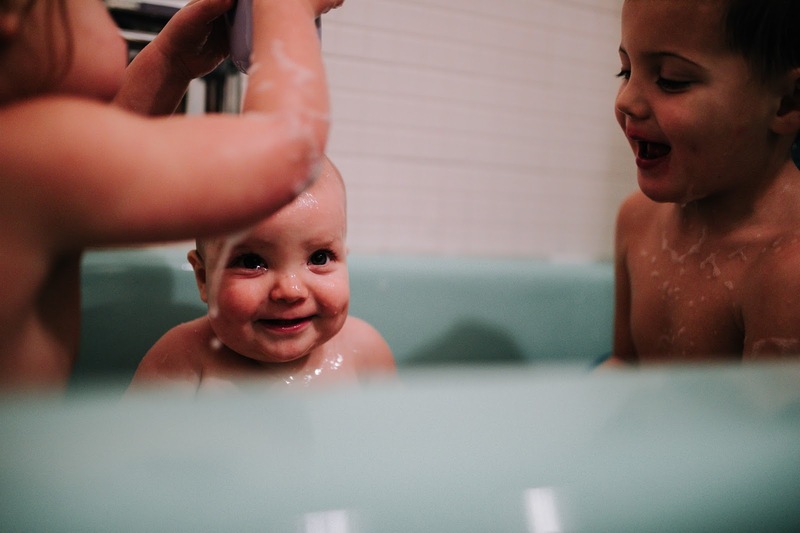 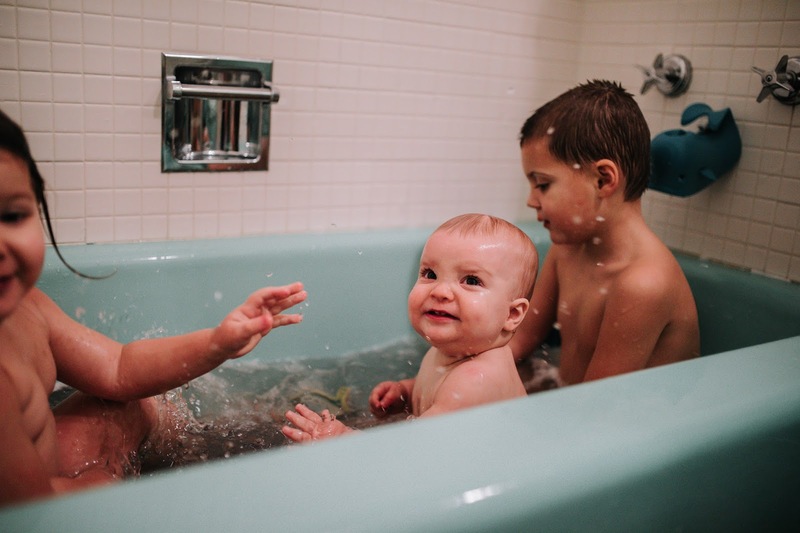 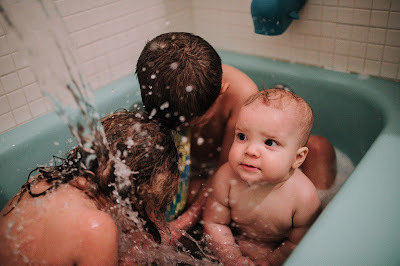 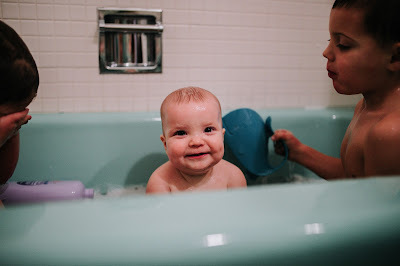 Anyways, tonight I decided to whip out my camera while all three of them were taking a bubble bath...and ohhhhh, man, I feel like these might be some of my most favorite pictures of all of them! 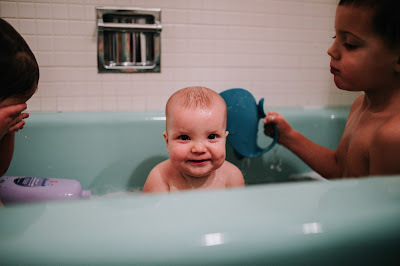 So that was a gigantic photo dump for you (#sorrynotsorry) but golly, what a fun little bath time was had today with my burritos splashing around in the tub! 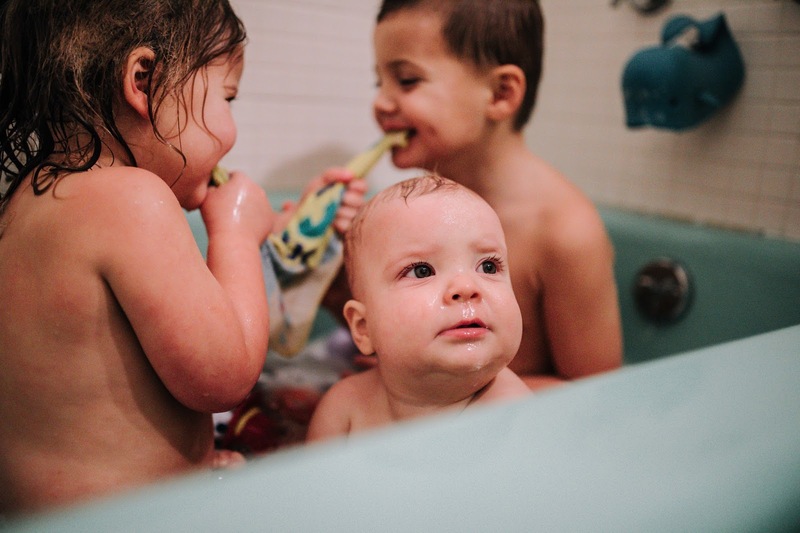 I cannot wait to capture more and more of these lifestyle and candid moments -- I really am going to try and embrace and document my own kids in more of a lifestyle/candid way in 2018 rather than trying to (and mostly unsuccessfully) do posed pics all of the time. 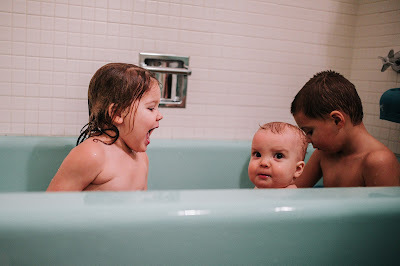 Wish me luck!